As required by Companies Act 2006 Section 307, notice is hereby given that the Annual General Meeting of Plymouth Wharf Residents Association Limited will be held at Compass Point, Manchester Road, London E14 on Tuesday 27th November 2018 at 8pm to present the annual report of the board and the financial statements for the year ended 31 December 2018 for Plymouth Wharf Estate. Shareholder’s report and AGM packs have now been issued to all shareholders. If you have not received yours please contact directors@plymouthwharf.com stating your name and property number. Shareholders entitled to attend and vote at the above mentioned meeting may appoint a proxy who need not be a shareholder of the Company, to attend and vote on his/her behalf. We appreciate the AGM is being held slightly later this year so to keep you warm on a cold winter night (and in keeping with the season) we will be providing attendees with mince pies and mulled wine (including non-alcoholic option). From Plymouth Wharf: turn left out of the rear gate and walk along the river walkway. Compass Point community room is the building overhanging the walkway. Alternatively head right out of the main gate and take the first right, walking to the riverside. Plans for a cruise terminal to be built across the river from Plymouth Wharf in Greenwich have finally been cancelled after several years of campaigning by the local community over fears of noise and pollution. This will come as a relief to a number of residents that were not happy with the plans. It is not yet known what the fate of the Enderby Wharf site will be now but it’s thought that the site of the cruise terminal may now be replaced with a park with possible concessions made to developers in terms of height on residential development planned. 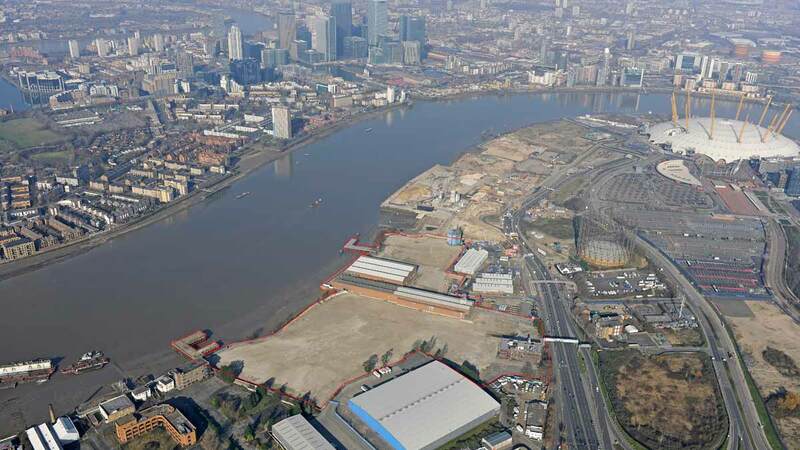 In March 2012, U+I acquired Morden Wharf, a former sweeteners refinery on the Greenwich Peninsula and one of the few remaining significant London riverfronts left for major regeneration. The major riverside regeneration site is adjacent to the O2 Arena and opposite Plymouth Wharf on the other side of the river, with 500 metres of Thames riverside frontage. The trees on the estate are being pruned this week starting with the tall trees in the central bed. 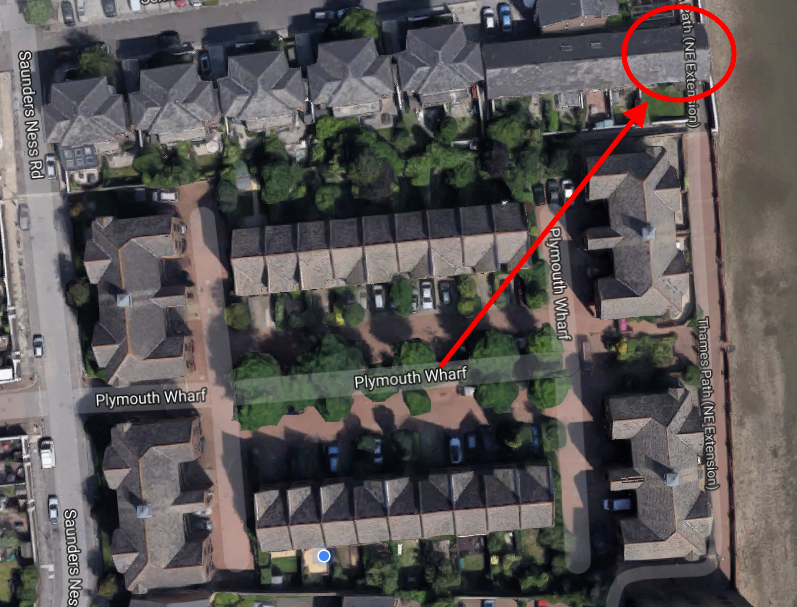 We will start at the roadside end and so on 15th/16th please do not park cars by the central bed outside house numbers 48- 52 and 11- 15 to avoid any damage to cars. 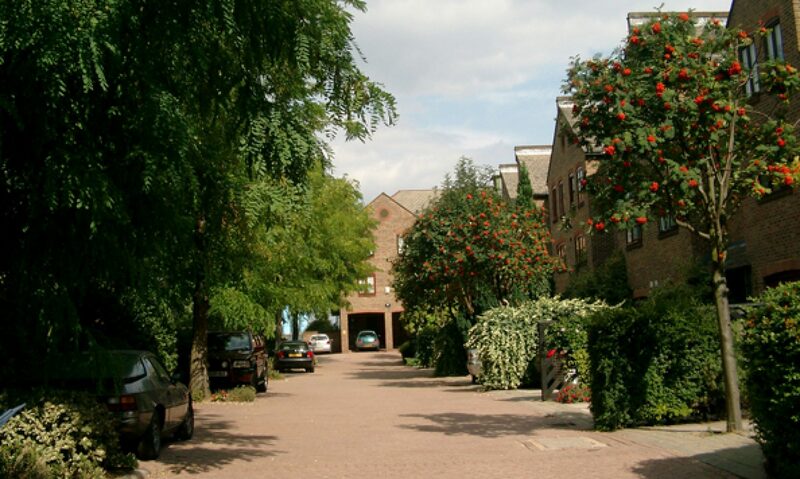 Instead residents and visitors can park at each end of the estate. On the 17th and 18th please do not park by the other end of the central bed at the river end outside house numbers 44-47 and 16 – 19. Cars will be on house forecourts do not need to be moved for tree cutting. Unfortunately there is some overlap with the jetwashing as they are coming back to sand the areas that were washed so these areas need to be avoided at times as well. We apologise for the inconvenience and overlap of the two jobs but we had great difficulty finding times when contractors were available. If you are in a communal area then leave the building at once by the nearest exit. We kindly ask that all tenants use heavy duty black bags for refuse, this will help reduce smell (all bin stores are experiencing this particularly in the recent hot weather), bags splitting open etc. We notice lots of small plastic bags are being used to dispose of refuse on sites. Using proper refuse bags will help reduce smell in communal areas that are close to bin stores as well as help reduce flies and vermin. 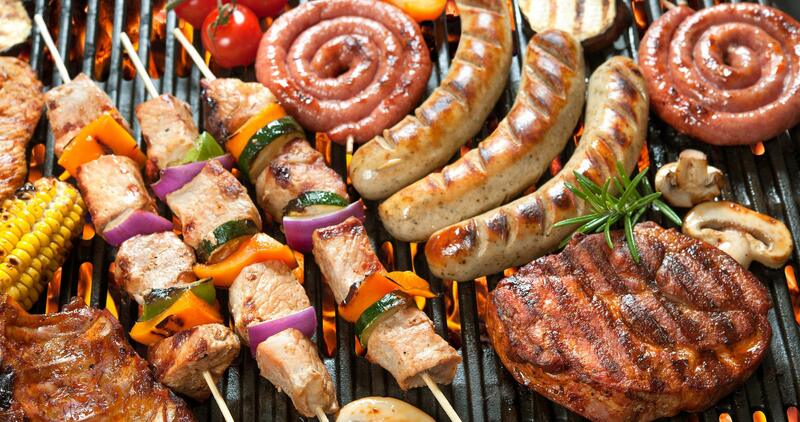 We will be holding the annual residents barbecue on Sat 23rd June 2018 from 4.00pm onwards. All are welcome and burgers, sausages, salads and desserts will be provide. Please bring something to drink, sit on and anything else you want us to barbecue for you. We ask that anyone wishing to attend please RSVP via the PWRA whatsapp group or by emailing carol.sinker@plymouthwharf.com to allow us to gauge numbers. 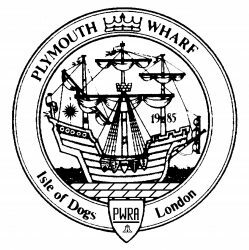 The work by Thames Water on installing a water system for Plymouth Wharf at each end of the estate is due to be completed this week between Feb 28th– March 2nd. Obviously this will be dependent on the weather! The irrigation system is then due to be installed next week starting March 5th. It is expected to take approx. 5 days. Paviors will need to be lifted temporarily to make links from the top river bed to the middle bed and from the middle bed, at each end and on both sides, to the flower beds. This will not affect anyone’s car parking space but it may be necessary at times to drive the wrong way round the Wharf. If you cannot reach your parking space at any time please park at either end of the Wharf, or in the Visitors spaces or in a space that you know is empty. We apologise for any inconvenience and thank you for your cooperation. We posted back in 2015 about concerns from air pollution from cruise ships at the proposed Enderby Wharf development planned across the river from Plymouth Wharf in Greenwich. 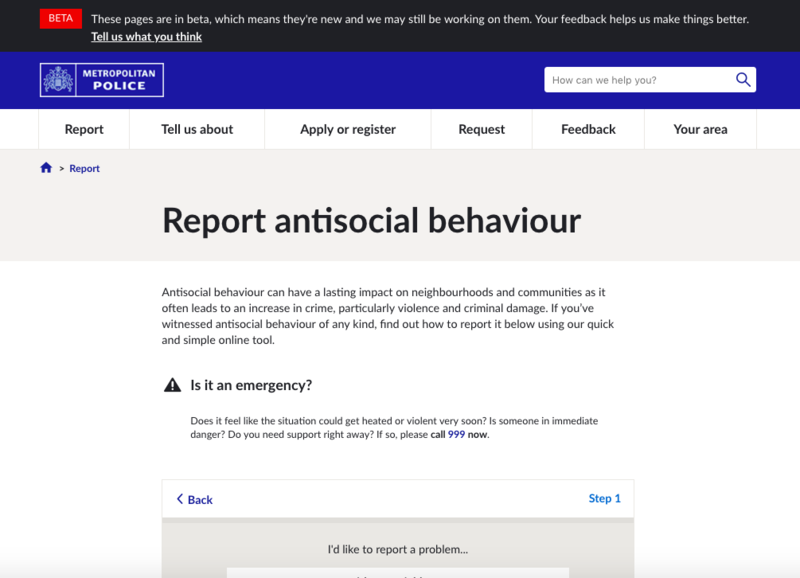 Debate continues on the subject with Radio 4 airing a 30 minute report on the subject this week. You can sign the change.org petition here.